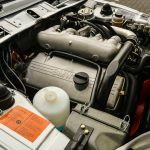 Porsche pioneered turbocharging for the mass market, right? Well, wrong, as it turns out. Certainly, when you think Germany, turbocharging, and 1970s, Porsche’s name is intrinsically linked with any associations therein. 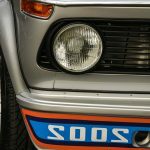 But it was BMW, not the Stuttgarters, who first brought turbocharging to the German public. 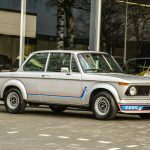 Back in 1973, BMW’s fledgling Motorsport division breathed new life into the 2002 by force with the addition of a KKK turbocharger to the Kugelfish-injection M10. 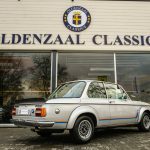 Little on the 2002tii motor went untouched, and the result was 170 horsepower and 181 lb.ft of torque. That’s a pittance in today’s numbers, but in 1973? It was pretty outrageous. Consider, for a moment, that the base Corvette at the same time had the L48 5.7 liter V8 cranking out 190 horsepower in a car that weighed the best part of two 2002s. For the critic viewer: No, this is not the same car as listed last couple of times, please see the VIN number. We are the biggest BMW 2002 Turbo specialist and always have one or more Turbo’s in stock or in restoration. Feel free to contact us if you are looking for something special. Since all cars are fully restored by the same team of highly skilled mechanics, upholsterers, painters and engine builders, our cars may strongly look alike. Plus the fact that Turbo’s we’re only delivered in two colours (white and silver) this can be confusing when looking at adverts. Absolutely stunning original 2002 Turbo. VIN 4290684 (Number 684 of 1672 ever produced!) 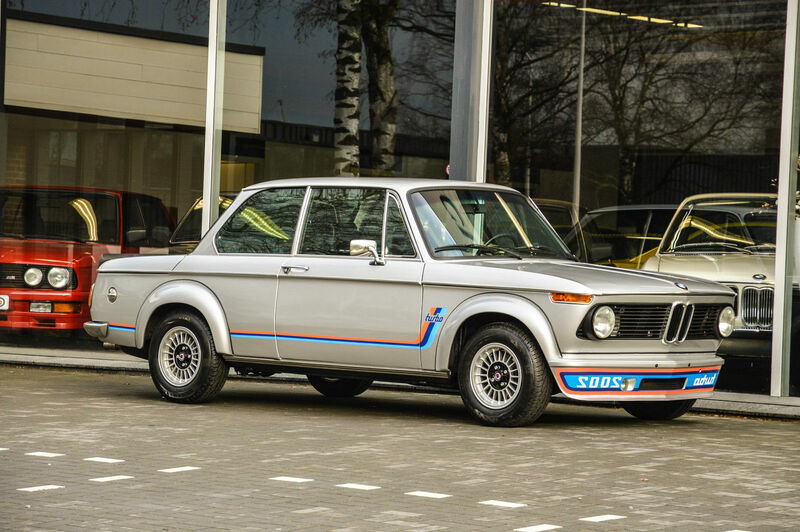 was produced on 7-6-1974 and was delivered on 10-6-1974 to BMW Dealer â€˜Gebr. Weber KG’ in Andernach, Germany. Until 1986 the car drove in Gummersbach, Germany. Then, in 1986 the car was bought by a Spanish BMW Dealership. Until 2016 this 2002 Turbo was in the hands of the Spanish BMW Dealer Celtamotor in Vigo, Spain. Here it was displayed in the showroom and occassionally driven. It was never registered though. This car hasnt been in traffic since 1986! . It hasn’t been on the road since then. No cost or effort was saved to bring this car to like new condition. The car has been completely taken apart and has been completely restored. Everything has been done with extreme care and skill. An absolute masterpiece and the best Turbo on the market today. Thanks to many years in dry storage it’s a unique gem. The fully original sheetmetal is in a perfect condition. Perfect shutlines, and a perfectly straight body. The Turbo was then painted on its factory color, Polaris silver. This has been done perfectly and without any faults. The car was painted completely, including the enginebay and the trunk. All trim like rubbers, seals, gaskets, chrome trim, lights, bumper are all brand new! This car makes a (like) new impression and no cost was spared! Technically it has been restored as well. We have completely gone through the car. The original, matching numbers, engine runs perfectly. From the Turbo to the coolant hoses. Everything has been gone through, checked, repaired, rebuilt or replaced. The car sits on a restored set of original wheels with 4 brand new tires. As you can see and read this car is technically 100% up to date and can be driven right away. On the inside the car is very original. The dashboard is crack-free and has the correct (Turbo only) instruments, ofcourse featuring the extra Turbo instruments with the extra clock and Turbo-gauge. Original carpets, original headliner etc. are in a beautiful original, BMW condition. And ofcourse a correct Blaupunkt radio! A German delivered car, in a mint condition. Very rare! The car comes with all original books. 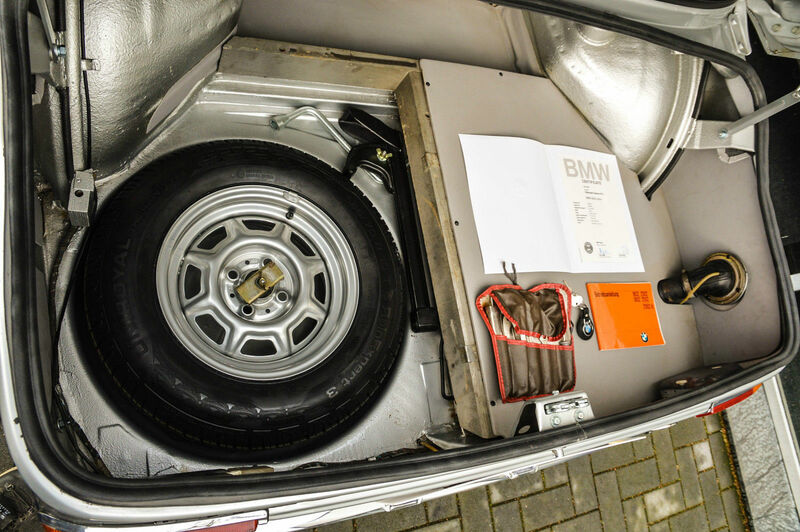 2002 Owners Manual, 2 sets of keys, the original set of tools, and ofcourse a recent BMW Classic certificate which proves the origin and history. A recent valuation rapport is present. According to the valuator (Member of the German Valuator and Expertscouncil) the condition of the car is a 1 (perfect) and the value is at â‚¬120.000 / $129.000. 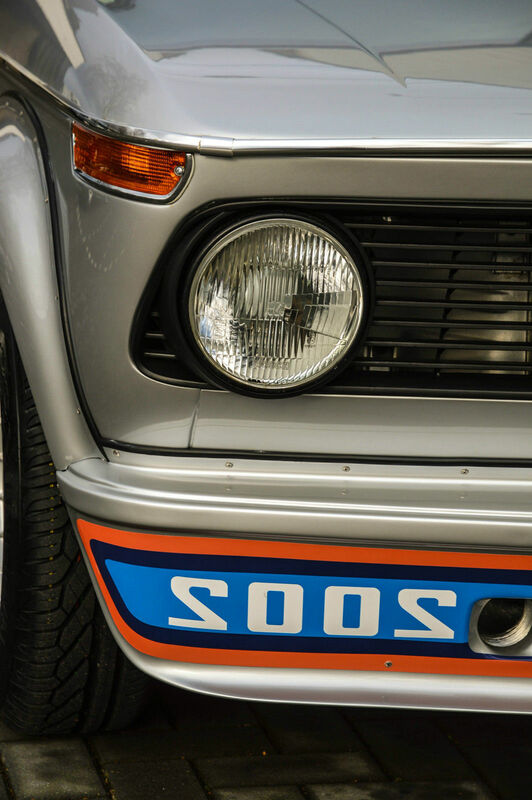 We specialize in Vintage BMW’s, we buy, sell and restore beautiful Bavarian classics. Now and then a beautiful unique Citroen or mint Mercedes is in my stock. The car is located in my dealership in Oldenzaal, The Netherlands. You can reach me on 0031 6 5521 2828 between 9:00 and 22:00, Dutch time (GMT+1). You can always contact me with questions about the car. I have sold many cars in Europe and more and more the USA. We can arrange transport worldwide. For a quote just call or send us an email. There were other neat details that abound on the Turbo, from the early reverse “obruT” decals this car wears to the red dash surround. This particular model wears upgraded Alpina alloys – a great looking, but interesting choice considering the restoration. Typically it would be correct to have fit the original steel wheels or optional disc alloys. 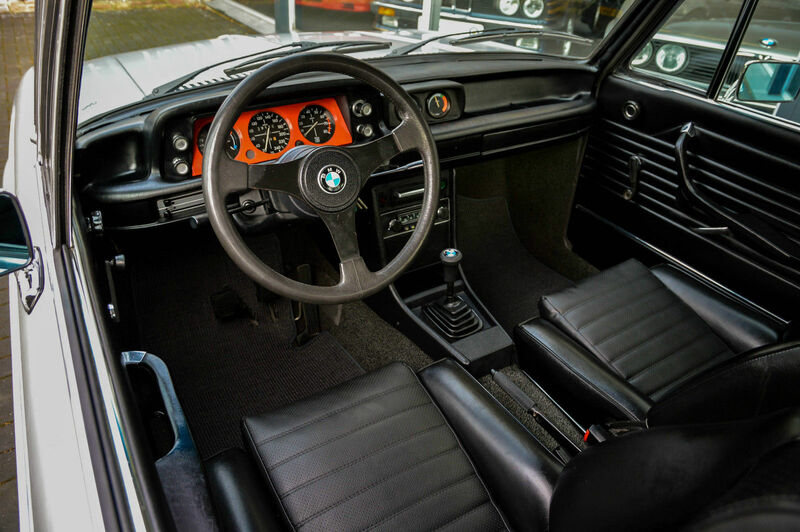 This example does not have many of the optional extras that were available, either, including cassette player, fog lights, sunroof, locking gas cap – if you can imagine, even the rear seat belts were originally an option. But for a collector, while those things would be over-the-top to have, the restored condition of this chassis is far more important than if it came with optional extras. Presentation throughout is top-notch, and in line with the best in the world. 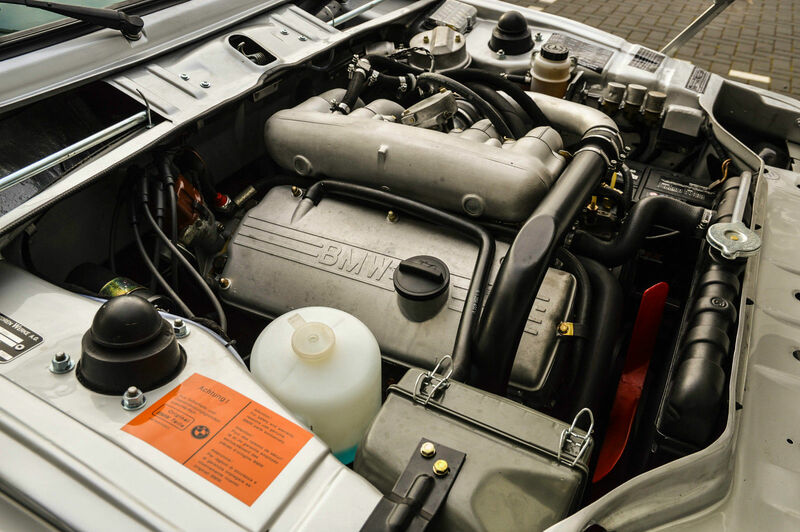 While more famous BMWs from the 1960s and 1970s have captured headlines, the Turbo has remained a niche model that still brings big dollars. Certainly they’re nowhere near as highly prized as a 507, M1 or even (pitifully) an E30 M3, but values are on par with market-leading E9 coupes. That places value around $115,000 – $125,000 in today’s marketplace. Sound like a lot for a 2002? Sure, and it is. But this is a very important car, and very special to boot. With M3 pricing trending even higher, it makes a strong case for the value of the OG small BMW performance sedan. Tagged 2002, BMW, E10, legend, M10, neue klasse, Polaris Silver Metallic, Turbo, Turbocharged. Wow. If you had to have one of the best examples – that’s probably it. 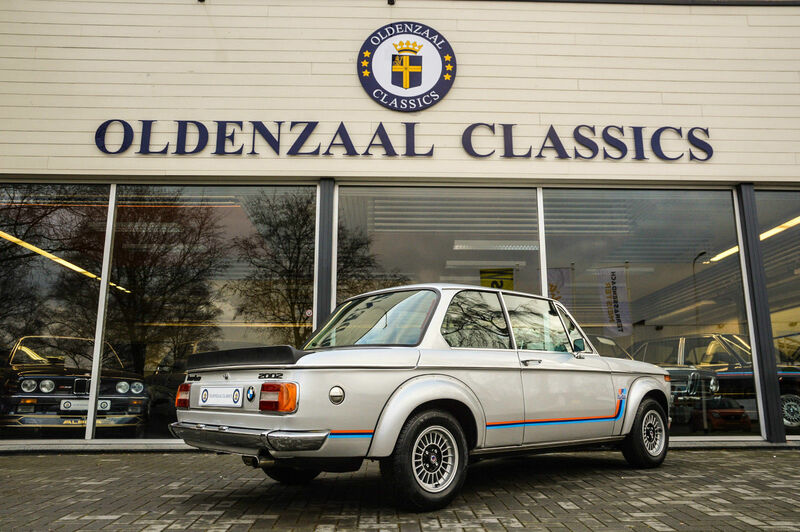 I would take this car, or almost any clean low mile 2002tii, over an e30 M3. And with no shame, esbestos suit on. Love it! My grandmother had a 2002tii that lived on the 17 mile drive, and I drove it there. I met one of my heros there, and it was all good;-). Not that it usually goes that way…. Gorgeous car and the other ones in the showroom are not to shabby either!